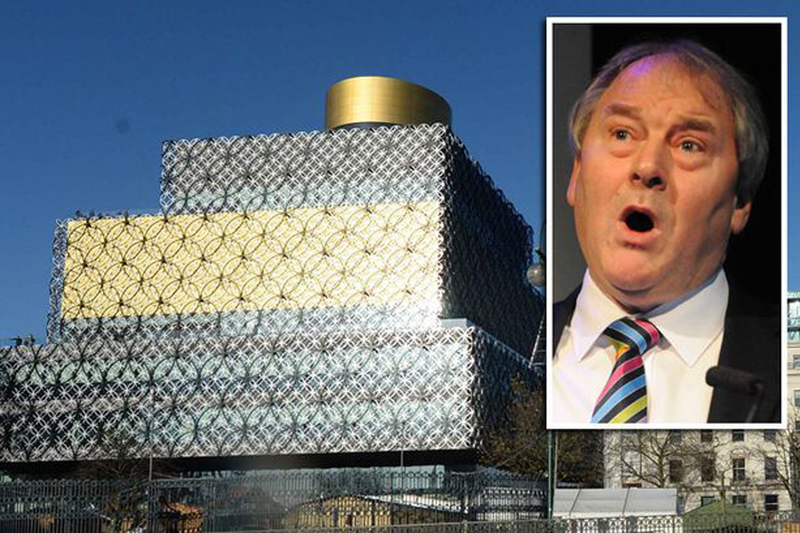 The former city council leader who drove the development of the Library of Birmingham has said he is 'saddened' at threatened cuts to the iconic facility. Tory Lord Whitby, who spearheaded the development of the £188m Library between 2007 and 2012, is calling on his Labour successors to reconsider its plans for £1.5 million cuts - which include slashing opening hours and axing 100 staff. In his first interview since Library cuts were announced, Lord Whitby also urged the current Labour leadership to be more imaginative and creative in seeking funding for the landmark facility. He said: "I am really saddened to see what is happening. It has been just over a year since it opened and now they are talking about huge cuts and good people losing their jobs. It is a tragedy. What sort of message does that send out to the wider world? "What does it say about us as a city? We should be promoting ourselves - we are national leaders for business start-ups and foreign investment, but instead our council leadership is talking about cuts and doom and gloom. They have got to be more imaginative." He said that there were two possible sources of funding: the council could find the £1.5 million shortfall within a £3.2 billion gross budget, or do more to seek support from the private sector. "The Library, along with the Symphony Hall, the ICC, the Town Hall and the theatres, is part of that cultural offer which brings in tourists. It is part of what makes Birmingham globally relevant. "The private sector - the hotels, restaurants and so on - benefit from that through increased tourism. They would recognise the Library's role in that." 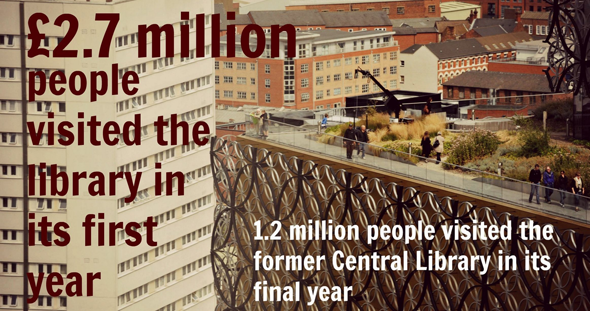 Lord Whitby added that there should not be a choice between the city centre facility and community libraries. "It is a community library, a large one, but it was designed for everybody to use, something for everyone to be proud of," he added. He said that at the time he left office in 2012 there were sponsors and donors being lined up, but argues the Labour administration watered down the Library Trust and put off some of those potential investors. The Labour administration has, on the other hand, criticised Lord Whitby for adding to the council's debt with the £188 million Library construction costs - pointing out they have to repay £12 million-a-year on the loans. The proposed £1.5 million budget cut, expected to be confirmed next week, is to the £10 million-a-year running costs. 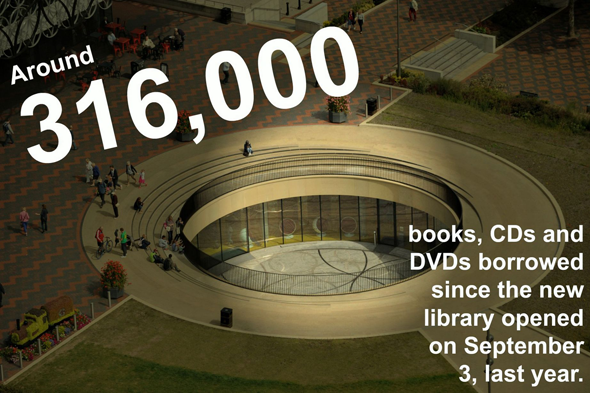 As a result, the opening hours could be reduced from 73 to 40 per week, with extra facilities, shows and exhibitions being cut, charges introduced for some services and up to 100 of the Library's 188 staff could be made redundant. Last month it emerged that the running costs had spiralled in the main due to higher than expected energy bills and business rates.